Durable, fun and quiet to use. 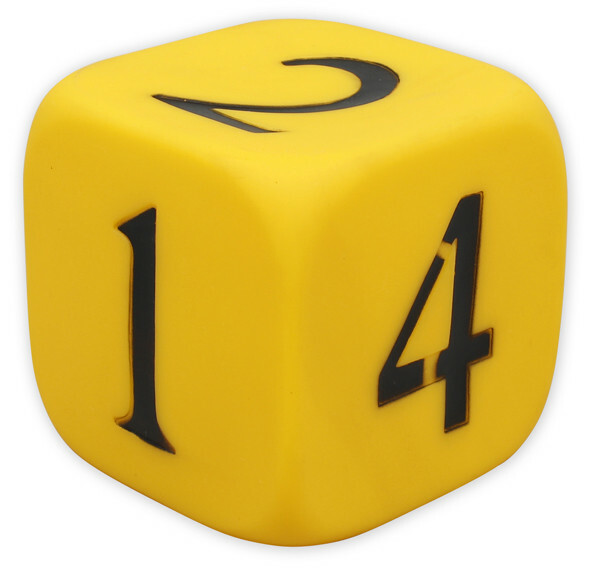 This large 6-sided number PVC-coated foam dice is an ideal addition to any game or learning session as it's average 90mm diameter size makes it suitable for class or group work as well as individual play. Covered in a sturdy PVC, these dice are tough enough to withstand the classroom. "These are a really great resource, particularly for playing greedy pig as a class. Always fun."